It’s Spring marathon season and lots of runners are in the thick of their final long runs and hard sessions. As important as those sessions are, it’s equally important that we recover from them sufficiently or we risk getting fatigued or even injured. How can we make sure that we’re recovering properly from the stresses we’re putting on our bodies? Alexandra Cook tells us how to optimise our nutrition for recovery, to get us to that start line in top form! Alexandra Cook has 13 years of experience as a sports dietitian and is also a UKA athletics coach. 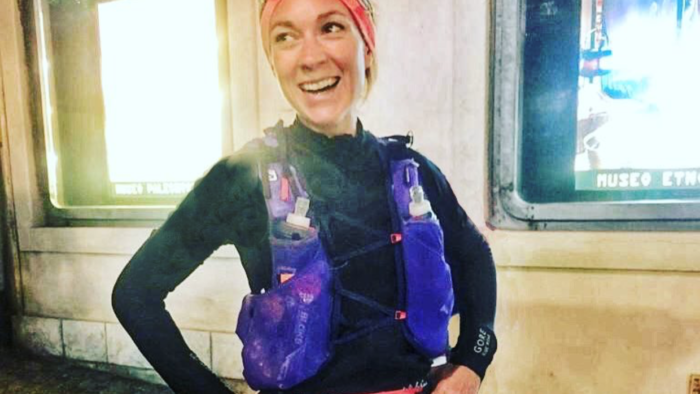 She is also a competitive distance runner with 20 years of experience which means she can provide realistic advice as an endurance athlete herself. 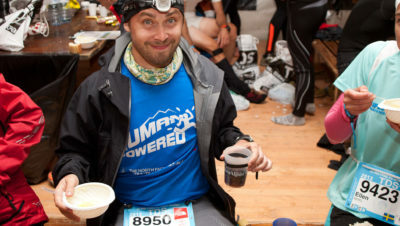 Question: What do people need to eat to refuel after a long run? Answer: Balance is key and it’s not just focusing on one nutrient. If you follow the 3 R’s rule you will ensure you are nailing your recovery every time. Rehydrate with water or / and electrolyte drink. You need to take on fluid at a rate that you are not peeing it straight out! 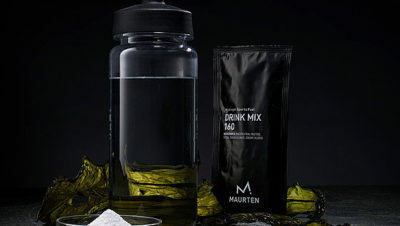 As soon as you have finished your run drink 500mls fluid. After that, drink little and often until urine is clear or you have reached your pre-run weight. Refuel with carbohydrate but no need to over compensate! If you have 24 hours between sessions, your strategy can be a little more relaxed. Follow your daily carb needs appropriate for your level of activity and ensure a well-balanced meal within an hour of finishing exercise. A well-balanced meal is hitting all the main food groups, a portion of protein, carbohydrate and a half a plate with veggies or salad. Simple but effective! If you have less than 8 hours between sessions, or you have done a grueling fasted sessions this is where you need to be more exact. Take approximately 1g carbs / kg of body weight each hour for 3-4 hours to maximise glycogen synthesis. This way you will ensure your glycogen stores are as restored as much as possible for the next session. Rebuild with protein. Protein is not essential for the immediate post session recovery but plays a large part in long term recovery and adaptation to training. Therefore, getting into the habit of having approx. 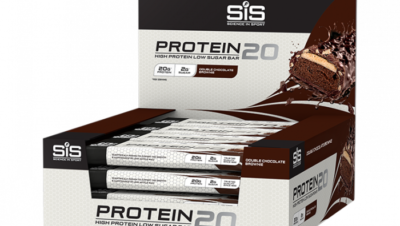 20g protein 60 – 90 mins post run, then same again for subsequent meals to get your recovery right. Question: How soon after your long run should you eat? Answer: This really depends on when your next training session is. If you have less than 8 hours before your next session then you need an immediate post run snack within 30 mins of finishing followed by a balanced meal in the next hour or so. The sooner you eat the faster you will replenish those depleted glycogen stores ready for your next session. However, most of us have at least 24 hours before our next run therefore we have longer to get fuel stores replenished. As long as you are eating a balanced meal within 60-90 mins of finishing your run and continue to eat adequate carbs for the remainder of the day meeting your daily training requirements, you will ensure you are well recovered for your next run. An endurance runners should have anything between 3-12gs of carb per kg of your body weight. Depending on your training load will depend on how much you need. For example, if you are doing approximately 1 hour of exercise a day, you should be aiming for 5-7g of carbohydrate per kg of body weight. So, for a 70kgs runner this would be between 350-490g of carbohydrate per day. The higher the training volume, the higher the demand for carbohydrate. Question: Do people need to consider what they should eat straight after short, hard training runs like interval sessions or tempo runs, or can they get what they need to support their training from their regular diet? Answer: High intensity training can deplete your glycogen stores quickly so runners must still be attentive to refueling strategies after these types of sessions. What is most important though is looking at your training around the session. If you have 24 hours or more to recover before your next session then a post training meal within an hour or so of finishing will be adequate to kick start the recovery process but if you are training again sooner then have a carb and protein rich snack straight after your session followed up by carb rich meals and snacks to ensure glycogen reserves are replenished before your next run.